These charts show what happened in late 2007. It was all happening at once, too obvious to ignore on the part of the Fed. 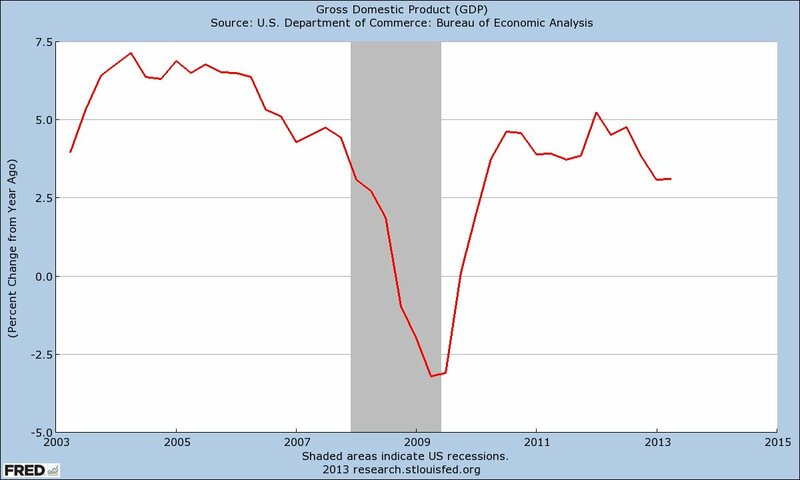 I like the third chart because The GDP (NGDP) showed a little rebound until the middle of 2007. That corresponds to the crashing of the 10 year swap rate and rise of LIBOR in chart 2. It also corresponds to the decline of commercial paper in chart one. So, we had these three events happening in mid 2007, and the Fed wasn't concerned? Are you kidding me? This was way before the money market run in September, 2008. It makes no sense that the Fed was so blind. As this Fed research paper shows, the residential real estate loans based on commercial paper went from 11.6 percent in 2006 to 4.8 percent in 2007! That is a massive crash. 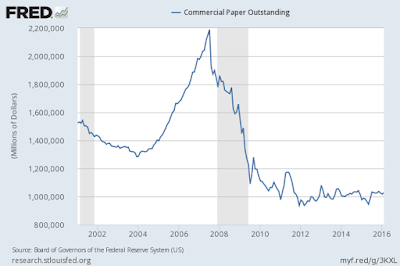 And yet, that commercial paper crash in the link above doesn't look as dreadful as the FRED chart 1. That is precipitous. 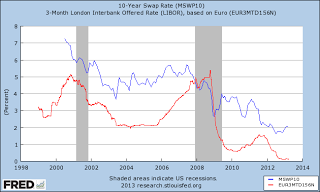 It could be explained by shadow banking conduits, as shadow banking was the key to the crash of the CP market. I point you to a Stanford study which is fascinating and worth looking at. The Stanford author, Bill Snyder, clearly views solving this issue as a riddle. Research goes off on a number of tangents and Stanford did exhaustive research trying to come up with the solution. In the Stanford article, it is stated that the crisis and panic happened in August of 2007. Well, that corresponds to what I have been saying and what the charts were saying. The CP market imploding corresponded to the subprime panic. Mid 2007 was when all this action converged. The author goes on to say that the shadow bankers had a primary role in all of this. 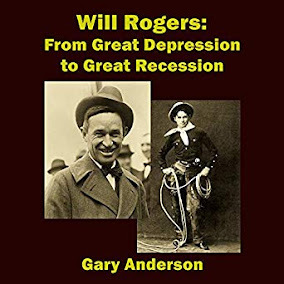 They had mortgage loans, auto loans, credit card loans, all financed, not by deposits, but by repurchase agreements (repos) and by asset backed commercial paper (ABCP). Receivables are turned into commercial paper that investors buy. The problem was not just the run on repos, but rather, the impact of shadow banking activities upon the commercial banks. It wasn't the shadow bank money market run that was the main event. The main event was the fact that most of the bad mortgages were backed by the CP market, and the CP market was underwritten by the commercial banks! Off balance vehicles hid this commercial banking connection to the bad securities, the MBSs and CDOs and CDSs that ultimately went bad. So, when the shadow banking system contracted, the commercial banks were stuck with bad paper, and could not find buyers for the CP. That forced the CP back onto the balance sheets of the banks. The study concluded that CP must be scrutinized and off balance sheet Enron-like special purpose vehicles (also known as SIVS) should also be targets of regulators. It is interesting to note that Helocs continued unabated through mid 2008. So again, the Fed is culpable for this off balance sheet banking that ruined the CP market resulting in the theft of trillions of dollars from the Middle Class. We already knew that the Fed mispriced risk of MBSs in the beginning of the crisis. Then, the Fed allowed off balance banking in the big commercial banks, that ultimately destroyed the CP market. 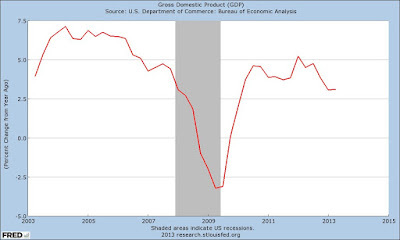 And after that, the Fed didn't increase the money supply when NGDP was falling! The Fed did absolutely nothing good until the crash, yet the Fed knew what risk it was putting on the system and it should be held accountable. It may even be criminally accountable. It is not a government agency, after all. If no one is held accountable for acts of fraud and unacceptable risk taking, then the banks will be given the power to fleece America again. They have now reserved that right for themselves thanks to the Fed. Our sovereign nation is no longer really sovereign.